Alas, there is nothing ironic about the results of the European Parliamentary elections. A quarter of electors in Great Britain, France and Greece voted for their respective ultra-right nationalist parties, eating into the pro-European majority enjoyed by a combination of centre right and center-left parties in the Parliament. Although it has relatively little power compared to the Eurocrats in Brussels, that body may turn out to be the wheel of destiny that sends Europe into another one of those fratricidal wars that have been its specialty for centuries. If that happens, it will also be the result of Europe becoming a pawn in America's standoff with the Soviet Union instead of defending the free play of electoral forces that would have brought socialists to power. All across the continent socialists and communists had been in the forefront of resistance to German occupation, and they had strong electorates: however the architect of the 'Allied' victory saw to it - with slightly less sophisticated and powerful means than those it deploys at present - that this did not happen. Greece was the most tragic example of American - and British - meddling when, with the tacit assent of the Soviet Union, the civil war that pitted liberation movements against a sclerotic monarchy was quashed. Not surprisingly, Greece's Golden Dawn Party, founded, like the National Front, in the 1980's, has yet to become 'gentrified', its public brutality the closest to Ukraine's Right Sektor. 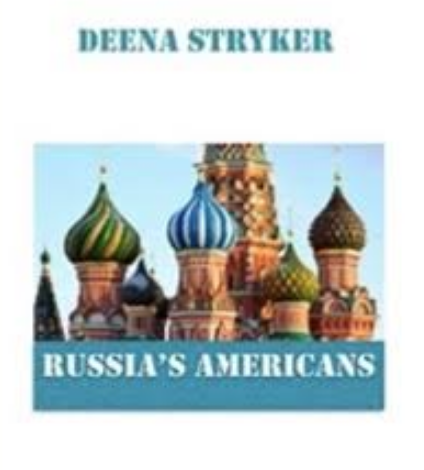 Fifty years of pusillanimity - as I have written here http://www.opednews.com/articles/Pusillanimous-Europe-by-Deena-Stryker-Conflict_Crimea_Crisis_European-Union-140306-496.html and judiciously dispensed dollars - have led to a resurgence of fascism all across the continent, culminating in acts of violence by thugs wearing swastica-like armbands (referred to as 'wolf angles' the better to obfuscate their meaning), who are so out of tune with the real world that they film and post their brutal exploits on YouTube. How ironic that this series of right-wing electoral outcomes from Europe to Egypt, to India, to name only those that come readily to mind, should take place in the season of weddings! The season's hotspot, Ukraine, is at the center of a continent-straddling area that is seeing the extreme right come to undisputed power: in India, one of the founders of the Hindu Nationalist anti-Muslim party, the BJP is now President; Egypt is getting ready to elect a former young general who rounded out his military training in the United Kingdom and the United States. As for Ukraine, the idea that its newly elected president is 'a chocolate king' couldn't be more misleading: billionaire Petro Poroshenko, with a degree in economics, has headed the Council of Ukraine's National Bank, and worked with all three past presidents, as Minister of Foreign Affairs or Trade and Development. With this background he could be expected to implement a pragmatic policy that would keep most of Ukraine together in a three way relationship with the European Union and Moscow. However, while announcing his intention to do so, he warned he would defeat the newly declared Republics of Donetsk and Lugansk in the country's industrialized east, which would require him to allow the nationalist praetorian guard to continue their unsupervised rampage. In India, Narendra Modi is likely to be no less dialogue averse vis a vis India's poor and dispossessed than the chocolate king vis a vis his breakaway regions. As for Europe, it's seeing a replay of the situation that brought Hitler to power: a dire economic crisis coupled with the appearance, alongside the traditional Jewish scapegoat, of another Semitic community whose numbers cannot be contained by 'Schengen' or other EU border agreements. And if World War II saw the debut of nuclear weapons, the 'teens' have perfected technologies that favor both mass organization and government repression. As Americans continue to parse the probability that their favorite politicians will back legislation affecting one aspect or another of their largely tranquil daily lives, the rest of the world is headed for the ultimate round between Occupy on Steroids and Darth Vader that constitutes those politicians' real order of business.